Life has not been real easy since I shattered my ankle on April first. Sure, it could have always been worse.Things are getting better day by day though and I am very grateful to all my friends and family who have helped me through the worst of it. 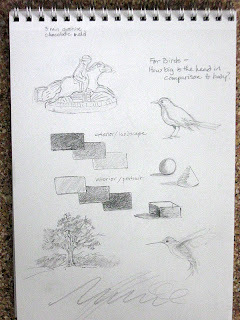 Drawing was a great spirit lifter and enjoyable pastime on many days for me during my convalescence. Today I've been debating whether or not I would start up my online Summer Sketching Series for the seventh straight year. Daunted by deep, dark shadows of self doubt all day, I've been wrestling with this blog's worth. Is it too predictable and boring? Why haven't I been able to engage my readers in more of my posts? This year, unless I hear from some of you otherwise, sketching challenges have been discontinued for lack of interest. Do readers find the writing, material and approaches here dated, substandard or stale? I used to feel inspired and energized by drawing. I enjoyed the daily routine and blogging about it. I'd really like to feel that way again. Any input you could offer me would be greatly appreciated. Due to my state of mind, and probably to my lack of daily discipline, I've found that the left brain / right brain shift was very hard today. This is my major stumbling block and it probably is for many when it comes to drawing. 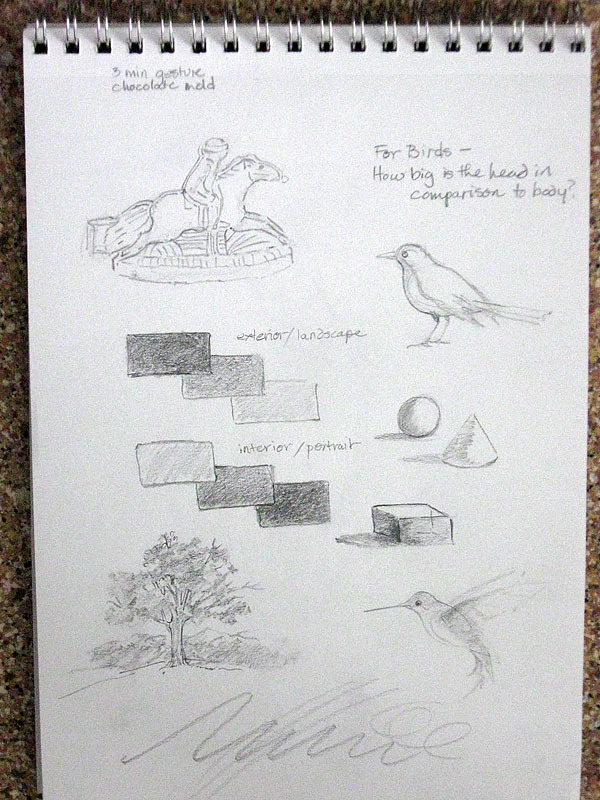 While in left brain mode, sketching is a difficult and frustrating task. Once the shift is made, however, obstacles and time seem to melt away. As usual, after searching online, I found several good posts about making the shift. This site suggested a series of warm-up exercises, while another went into great details about seeing shapes, not things. They are good links to bookmark and I will refer to them again in the future. Here are a couple of pages of warm up exercises that I did today which did help. So if I do not continue with this blog on a daily basis, or otherwise, I wanted you to know why. 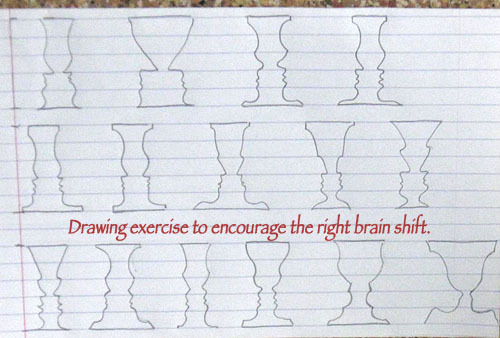 Labels: doubt, drawing exercises, drawing on the Right Side of the Brain, face vase exercise, Left brain / Right brain Test, right brain vs. left brain mode, What am I doing Wrong? Hi Sandy......I love your blog and have looked forward to this time of year for years now. Personally I appreciate those who share exercises and how they go about doing things. The forum workshop I run with monthly challenges of various types basically goes month by month with very little participation. All of the members are "seasoned" (we've been together for many years) and basically do what they want to do depending upon mood they are in. 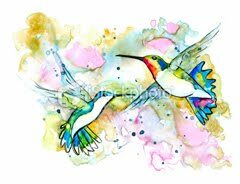 Exercises and challenges just don't seem to be important to them as they might have been when they first started drawing and painting. I can relate with what you are feeling. I fed off the participation of others to help motivate me to do my own work. When little is going on, I find myself dragging and not wanting to do anything. But who does that hurt? So I'm trying to feed off of my own desire and incentive since I do this for me anyways as a form of therapy. Hope you can work through this. Again I love your site. It does inspire me simply by viewing your beautiful work and following along with how you go about doing things. Thanks Susan and Diane! I really appreciate your comments here. Because of my own love of the summer sketching series and the feedback of nice people like you, I have decided to continue this year and draw everyday, but post less frequently. I feel it will work out better for everyone. 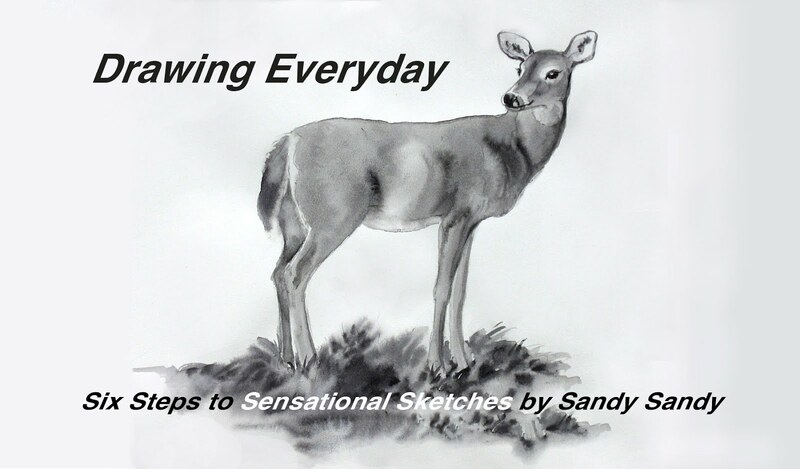 Please stay in touch and keep me apprised of your sketching progress!